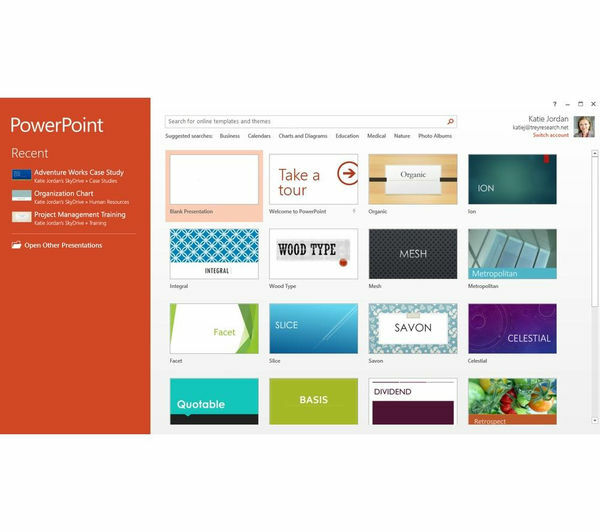 Share your vision like never before with the redesigned Microsoft Powerpoint. 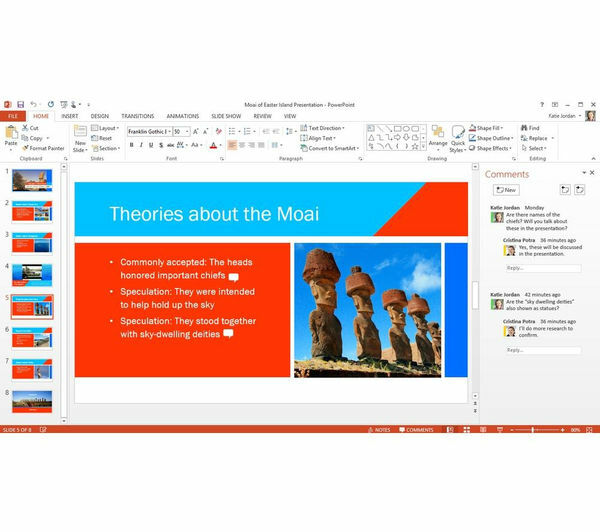 With a cleaner look, Microsoft PowerPoint is designed to be used by everyone. 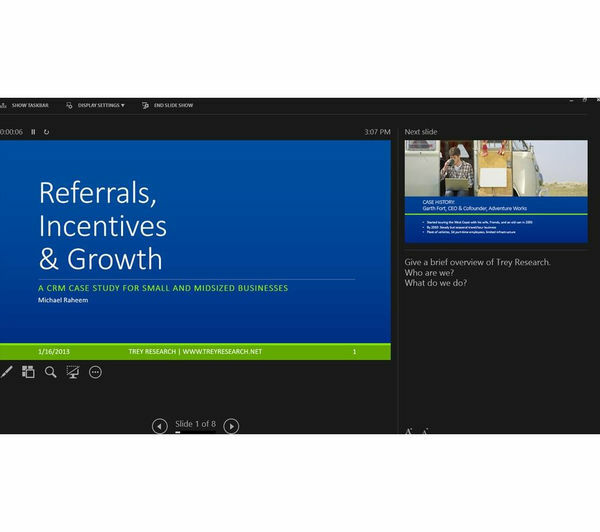 There are a range of templates and themes to help you get started, adding inspiration from the moment it is opened. 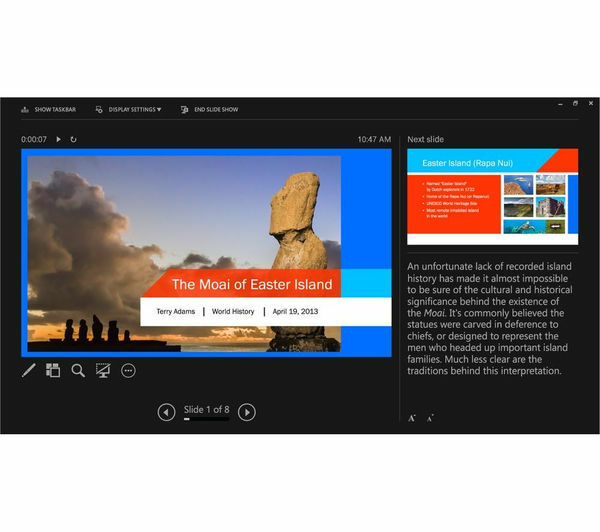 Using the improved Presenter View, you can make sure your audience sees what you want them to see, adapting to suit your projector. It is easier to work with, only requiring only one monitor for Presenter View. 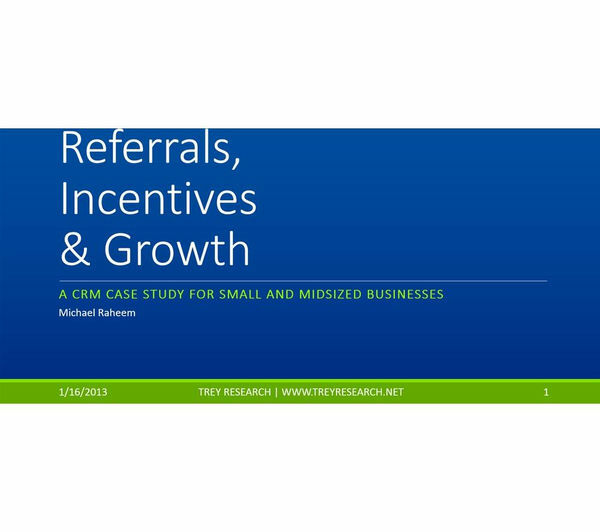 You can also zoom in on slides, emphasising your point for your audience. 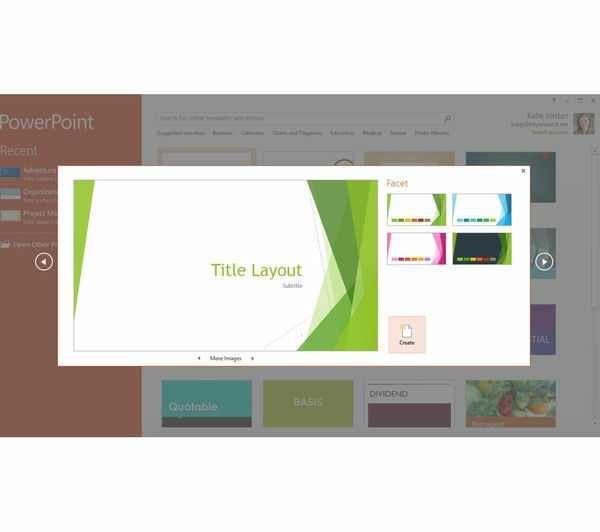 Jumping to slides is simple and it will even do the hard work for you and automatically sense your computer set up to choose the right display for Presenter view. 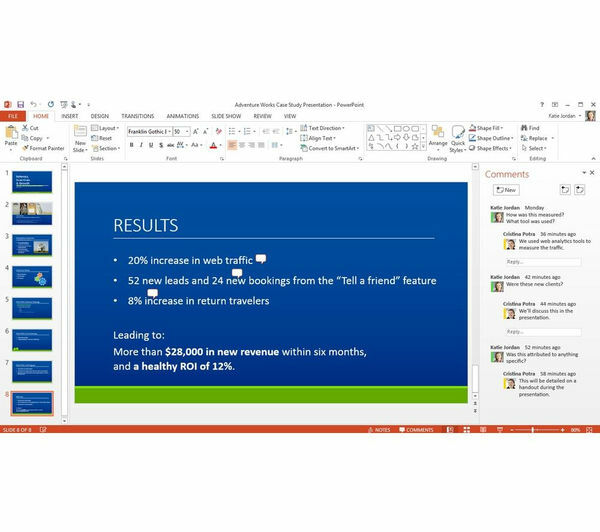 Even online meeting are simple from PowerPoint, letting you send out links to the slides and start full online meetings from Lync. 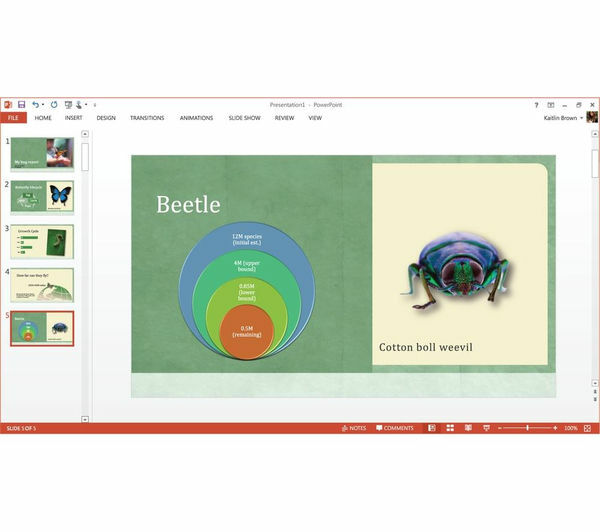 Designing your presentations can be even more creative with PowerPoint. 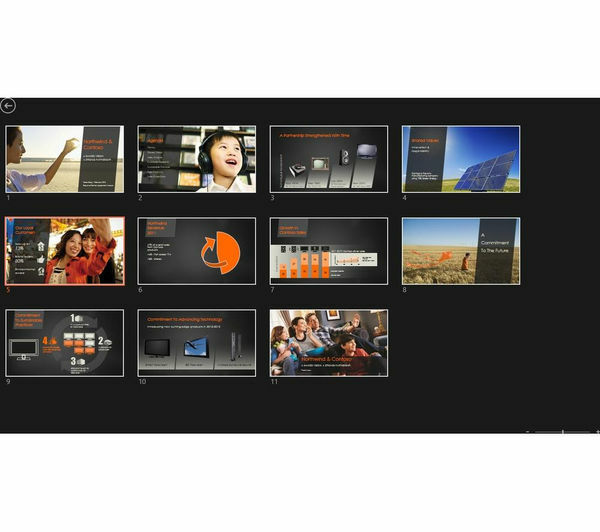 Themes now come with a variety of variations so you can customise your presentation to suit your subject. It is easier to line up images and shapes using the Smart Guides, and motion paths clearly show the motion of the object using a ghost shape. You can create entirely new shapes using the merge tool, combining two for an original shape, and colour matching is less tedious using the eyedropper tool, simply selecting the colour you want to use. 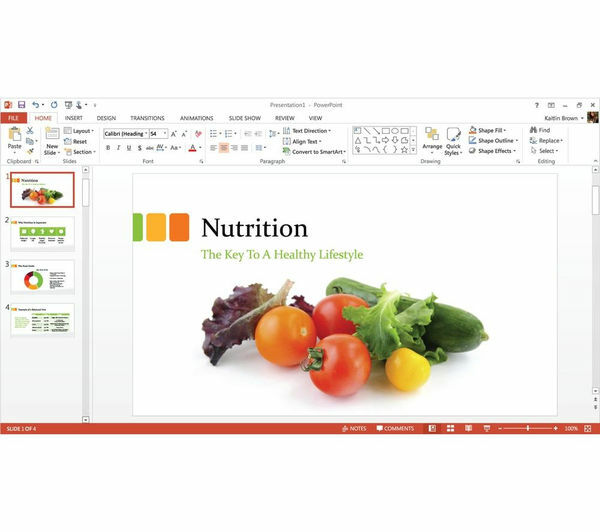 PowerPoint 2013 also supports more multimedia formats, such as .mp4 and AAC formats, making it easier to insert multimedia into your files. 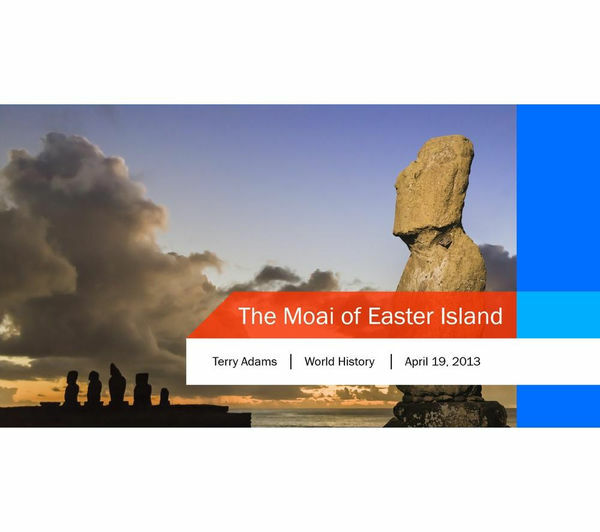 You can add a touch of class by playing audio throughout your slideshow using the Play in Background feature. 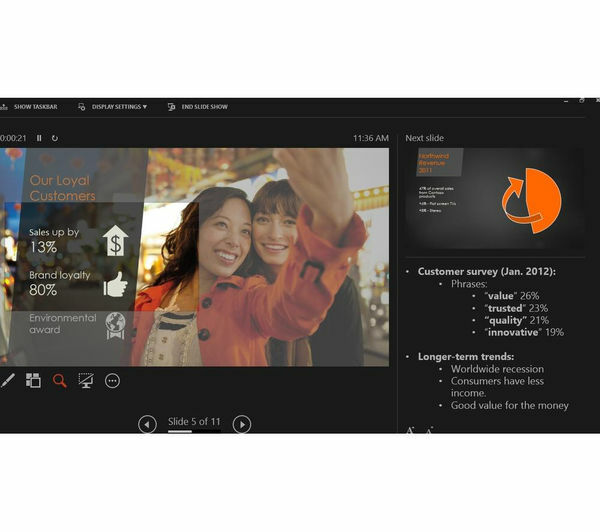 Touchscreen displays bring slideshows to a new level, letting you use touch gestures such as swipe and tap to work your way through the slides. 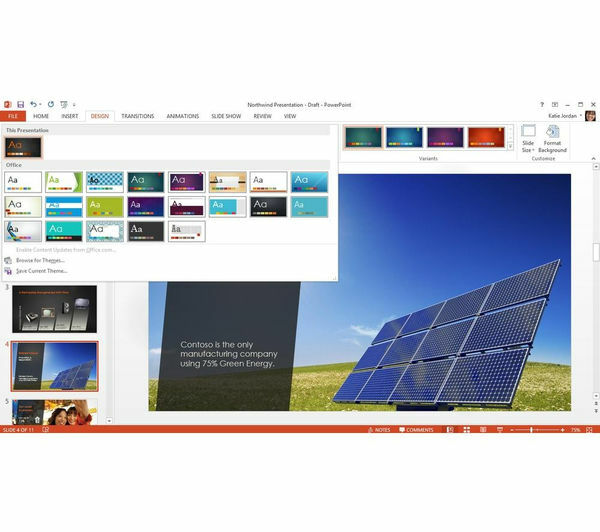 You can store your creations in cloud-services such as your SkyDrive. 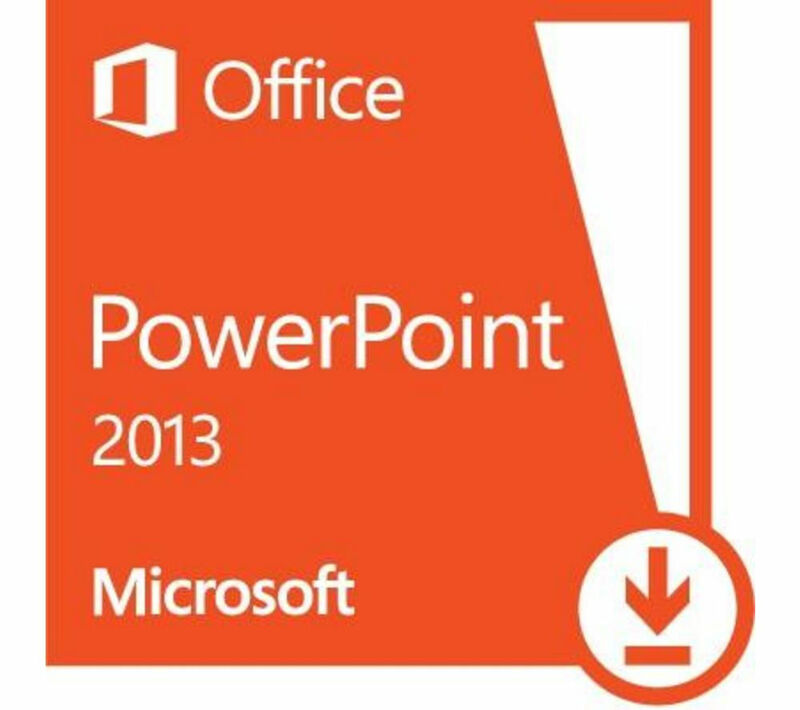 If others need to work on your presentation, they can access the file at the same time. 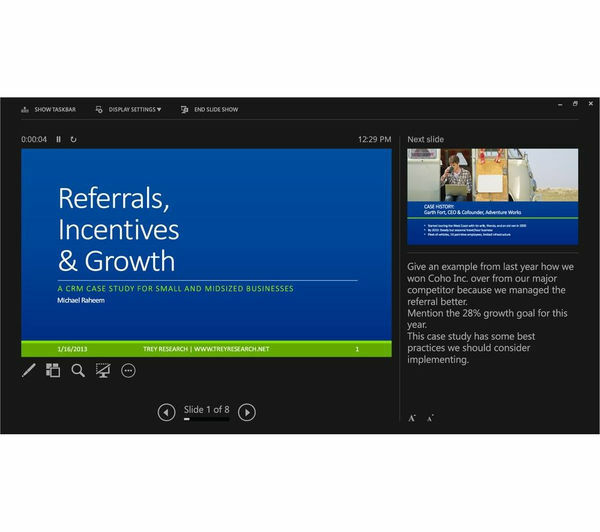 Comments make it easier to give feedback on presentations, and can be hidden when they're not needed. 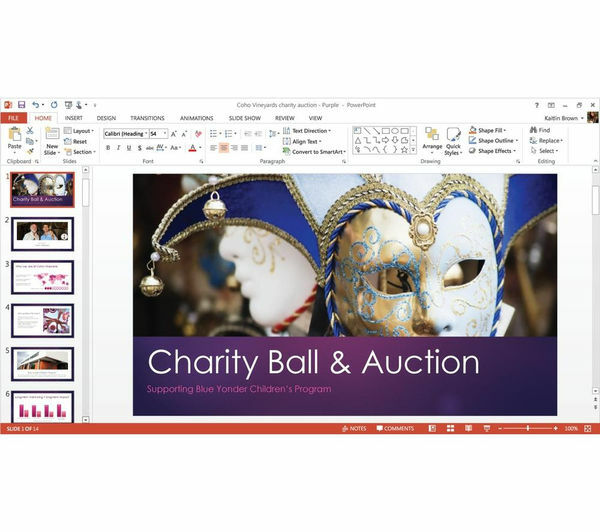 Bring your presentations to life with Microsoft PowerPoint 2013.